Special Helmets are many different replicas also, but very few superheroes that use helmet and even less of those who may have one to ride a bike. If you are a fan of Iron Man, you’re in luck. Tony Edward Stark and his alter ego Iron Man is, undoubtedly one of the top superheroes of the comic world and from the end of the first decade of this century also the world of celluloid. The interpretation of Robert Downey Jr. gave the character of Stan Lee for an identity that will be hard to beat. But if there is anything that characterizes good Iron Man is his armor and his helmet, which give it, based on the money which has Mr. Stark, full power and resistance. Come on, and what if Iron Man is Iron Man is due to the gadgets and pasta, as we passed another super hero like when Wayne becomes Batman. The fact is that although there is no whole bundle of Stark and Wayne, if you can have part of the armor of the first, and according to the information that reaches us, it also serves to go on a motorcycle, but not it seems to pass the European approval. 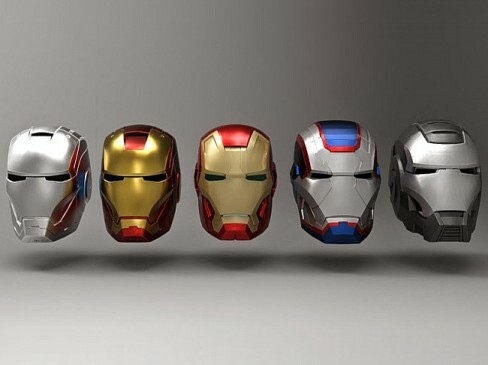 This is a spectacular replica of Iron Man helmet, which even has its famous illuminated eyes. It is also available in different finishes.